How to spend a week in the "city that never sleeps". Ryan describes himself as an "anything goes" traveller, so read about how he goes in NYC! I've visited NYC a handful of times, but never in the spring. Every visit has been a good one, but I've always been curious to be there when it’s warmer. Not so much the humid sweaty summer, rather, a fresh spring dose of NYC energy for the change of seasons after the biting cold of winter. And beware that winter bite, it can get really intense when those relentless razor blade winds cut through your under equipped winter gear while cruising the streets of Manhattan. And what about the High-Line, it's just not the same in winter with no cheerful greenery around to pretty-up New York's walkway in the sky. So when the opportunity came to return to NYC in May, I packed swim trunks and flew from Cape Town to JFK, ready for a fresh look. The 16 hour flight from South Africa is not as bad as some make out. SAA fly direct and I have often had enough seats to stretch my legs out enough for a good sleep option. Arriving early in the morning is always a good thing as those immigration lines can get nasty. Getting a ride into Manhattan from the airport is not ideal, as you hit the rush hour of those scrumming to get to Manhattan to earn their dollars. Once in Manhattan though, for your first day at least, time becomes a secondary consideration as the many NYC sensations take over and create a world of loud and surreal experiences. Having been to Manhattan a few times, I know my way around and enjoy exploring on foot, but this time I decided to brave the CitiBike system - and what a pleasure it was. 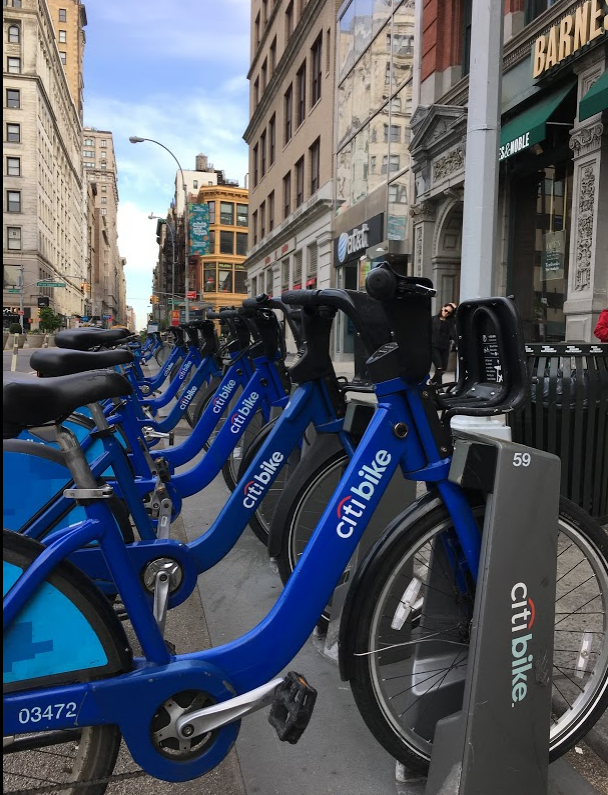 It costs about $12 a day and you can ride for up to 30min before having to return your two wheeler to one the many CitiBike stations. It's never a problem finding one, they are as prevalent as a carguard* in Cape Town - everywhere! I rode all over the island and at least once a day that included peddling over a bridge. 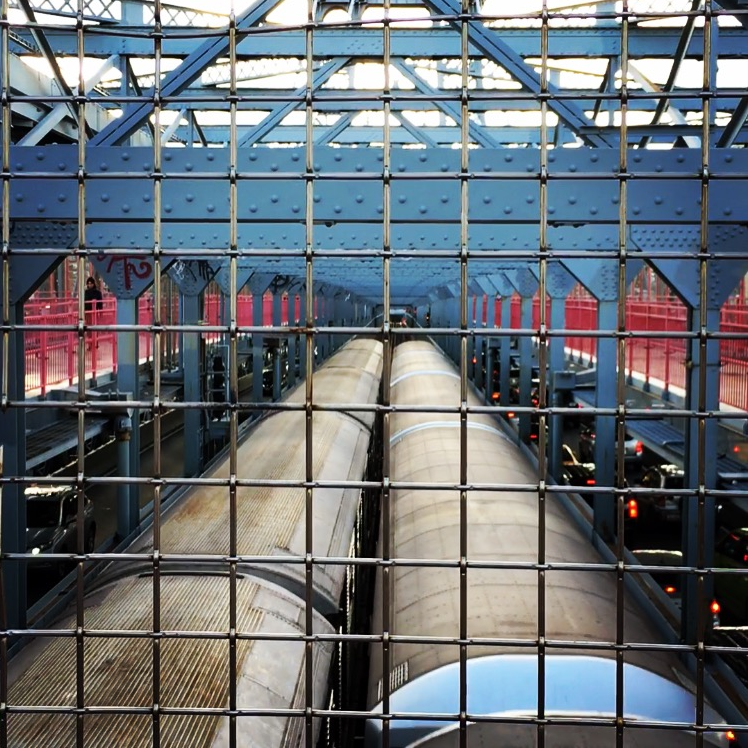 Either the Williamsburg or Brooklyn bridges are perfect for a cruisy ride, with great views and integrated feel of being very much a part of the city, as a bonus to your travel solution. The app is a huge help too and this quickly became my preferred mode of transport. It's such a pity we don't have that at home in South Africa, unfortunately the upkeep and durability would never survive in Africa, but I'm psyched to use the same systems in London, Paris and other cities that use this healthy option of moving about the city. Accommodation is always going to be expensive in Manhattan, no matter what option you choose. I’ve stayed all over the show in different AirBnB options. Prices have increased markedly over the last 5 years. A pullout sofa I stayed on near Washington Sq in 2012 is now more than double what I paid for it back then. This time I was drawn to the LIFE Hotel. It’s the original building that the famous publication and brand ran their business from and conveniently situated midtown, although convenience did not come with any charm. The area is around Korea Town and not the best place to hangout in Manhattan. After a couple of nights in the hotel, I moved across the East River to an AirBnB in Williamsburg. The view of the skyline gives a whole new perspective to a NYC stay, the prices drop and the vibe is less touristy and there is always something happening in the neighbourhood. At night, head to N 10th St, the buzz around the restaurants and cocktail bars (hit the Wythe Hotel for rooftop cocktails and view of Manhattan skyline) is brilliant. I could recommend late night spots, but things move quickly and the flavor of the week will have changed by the time you read this. There are a lot of cool clubs to choose from when it gets to around 10pm or 11pm. It's interesting to try and plan a to-do list for NYC, but the reality is, once you get there, just tap into the flow of the city and decide what feels best on the day. I happened to be there for the opening of the NYC Ballet season...they call it the Spring Gala and I would not have bought a ticket if I was planning the trip beforehand, but while in the area, I noticed some buzz around setting up a red carpet at the theater, checked out what was happening, and managed to buy a ticket for the evening event. The night before I had been at a Puma event and met two of the ballerinas of the NYC ballet troop, so I was keen to see them do their thing on the stage. There is always something to do, but I like to search out those little nuggets that present themselves in the moment, just keep an eye open and use the many apps and websites to assist you with 'whats on' while you are there. My favourite meals are lunch times around the East Village. Chelsea Market is also cool, but the quirky little spots of the East Village are less well known and warmly welcoming. It’s great to see the trends of the world unfolding over the counter and on the sidewalks of these little places, and sometimes, being created. I bought a radical shirt on a market sidewalk from a guy who clearly loves his craft, ate Pizza slices once the queue had died down from a nondescript hole in the wall, and sat and sipping some kind of frappacuppalattecino while people-watching the unabated conversations happening all around me. The attitude down here still seems NYC-proud, but not as brash and loud as other parts of decibel filled city. I always do a bit of work in NYC and my favourite place to find a quiet spot that has something more than just the quintessential coffee shop, is the NYC Library. The Rose Room has reopened so I plugin and use the wifi to create my own NYC hot desk in the most studious of settings. In Spring, the lush green grass of Bryant Park backs onto the library and is the best place to chill out with locals and tourists alike. In summer it comes alive with vibrant action on the permanent concrete table-tennis tables, crooners busting out some tunes on the piano and people sharing lunch and ice-creams while soaking up some sun in one of the rare open spaces just off uptown 5th Avenue. I've never done a heli-flip over the city, but I really enjoy seeing it from the water. The best way to do this, in my opinion, is by sail. 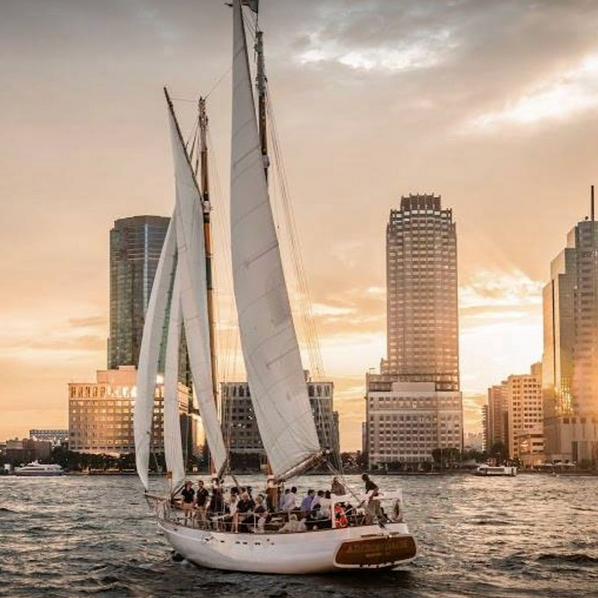 I noticed @Classicharborline while doing a Instagram search and realised right away that I would not settle for anything less than one of their perfectly crafted fleet. Pick a good day of sunny weather and take to the water in style. Skip the big brands you can experience in other cities. There are so many unique places to shop and eat in NYC, so rather explore something new.